Blom, J.G, de Bruin, R, Grasman, J, & Verwer, J.G. (1981). Forced prey-predator oscillations. 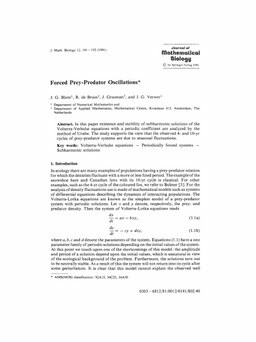 Journal of Mathematical Biology, 12, 141–152.